Detailed instructions, explanations and dosages for each of these healing protocols are contained in my book, Listen To Your Gut. We also have an experimental protocol for dissolving scar tissue that you many want to try. For now, let’s look at a short-term strategy you can implement right away to bring relief and start you on your pathway to healing. Note: In the case of strictures, if the scarring is severe, you also need to go a step further and implement strategies to directly soften the scar tissue; like craniosacral/visceral manipulation therapy, hot castor oil packs and DMSO. For the best treatment and management of diverticular or obstructive GI disease, your diet should vary according to your symptoms. During good/calm times, it’s best to eat a diet that promotes easy digestion and absorption and tonifies the intestinal wall. But during a flare-up (diverticulitis or acute stricture), it’s best to consume a liquid, pre-digested diet to provide a form of bowel rest and flushing of the colon, to help prevent a blockage or obstruction from occurring. It is also easiest to heal infection or inflammation whilst on a liquid (but highly nutritious) diet. When you are in a diverticulitis flare (the diverticula – pouches – are inflamed or infected) it’s ideal if you can immediately consume liquid nutrients only. By ingesting only liquids, you give your body the best chance to flush out the food particles that are stuck in the diverticulae and you also avoid causing an intestinal obstruction through the build-up of stuck food. Additional substances, like wild oregano oil, aloe vera juice, probiotics and MucosaHeal can be used to eliminate the infection and heal inflammation during this time. 1. Raw vegetable juicing – juice primarily vegetables, with only enough fruit added to make them palatable (or sweeten with stevia instead). Use a juice extractor (not a blender) so the fibre is removed. 2. Raw (unpasteurized) cow or goat milk – from pasture-fed animals only (not barn-raised and grain-fed). Each of these liquid nutrient sources are best when combined with homemade bone broths (Chicken and Beef Broth). You can derive your nutrients from only one of these sources, or you can mix and match and combine them together. If you consume raw vegetable juices, buy organic or ‘no spray’ produce and juice fresh every day (or freeze portions to consume later). Make sure you consume enough juice to provide you with adequate energy each day. Or, combine raw juicing with raw milk or Absorb Plus to add the protein and good fats needed for energy. Remember to use a juice extractor, so you consume only raw juice, not fibre. You can find a raw milk supplier in your area by going to: www.RealMilk.com – just make sure the animals are pasture-fed only and the farmer tests regularly for pathogens. L-Tyrosine – aids function of pituitary, adrenal and thyroid glands. Lactoferrin is an antioxidant that is also a powerful antiviral and antibacterial agent shown to inhibit the growth of E.coli, salmonella and candida in the gut. It also helps ensure the optimal use of iron in the body by binding to iron and preventing oxidation. Whey protein is also an alkaline food, so it’s ideal for counteracting the usually hyper-acidic body pH levels of people with gastro-intestinal problems. If you have heartburn, don’t be surprised if it lessens or disappears after using Absorb Plus regularly – especially if you consume 3 or more servings per day. Since Absorb Plus is 100% natural, most of the vitamins, minerals and trace minerals are natural-source extractions, the maltodextrin and fructose are certified non-GMO, the whey protein is lactose-free and cold-extracted – so the protein is not denatured, the amino acids are specifically targeted for gut inflammation and the flavors are certified organic – I think I can safely say that it is the highest quality elemental nutrition shake on the market. If you’ve read the story of Absorb Plus, you’ll know that I originally formulated Absorb Plus to heal myself of intestinal hemorrhaging. When I was breastfeeding, I often used it whenever I was too tired to cook or I simply didn’t have time. Many of my readers use it for breakfast every morning, since it’s a great way to give themselves a healthy start to the day. 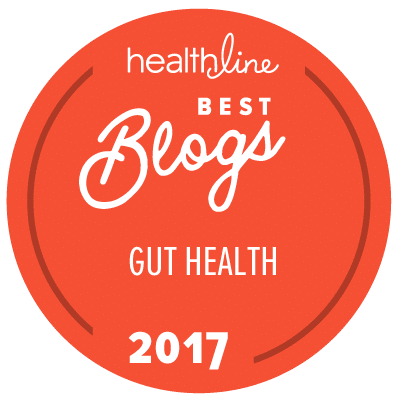 Of course, it is even healthier if you can drink a protein shake with chia seeds, or a blended raw veggie drink – but remember, we’re talking about intestinal obstruction here! If you’re using Absorb Plus during a flare – or whenever you’re under stress, or likely to develop a flare – you should drink the number of shakes you require for your specific caloric needs each day. Each Absorb Plus shake (blended with 1 tablespoon of cold-pressed flax or Udo’s oil) equals roughly 480 calories. Normal people usually require 15 calories per pound of body weight. So if you weigh 100 pounds, you need 1500 calories per day to maintain that weight. So you would consume three Absorb Plus shakes per day. If you want to use this time to drop a few pounds, then you simply figure out how many calories you need to consume to maintain a weight that is 20 pounds less than your current weight – and consume the number of shakes needed to maintain that weight. If you are malnourished or underweight, you can use this period of liquid nutrition to gain some muscle (healthy weight). In that case, you would take your ideal weight and multiply it by 20. So if you want to weigh 170 pounds, you need to consume 3400 calories per day; which is seven Absorb Plus shakes per day. If your infection is severe, or if you want to gain weight quickly, add another two shakes per day (so you would consume nine shakes per day). How Long Should I Use Absorb Plus? Ideally, it’s best to consume only liquid nutrition for entire duration of your flare-up. For some people, this means three days, for others, it means a few weeks. Since your diverticulitis or stricture flare-ups will depend on the severity of your disease, your environment (is it healing, or stressful? ), other healing strategies or substances you are using, and your foundational level of health – your healing may be a lot faster, or a lot slower than someone else’s. So, it’s best to listen to your own body and stay on Absorb Plus shakes for as long as your infection is acute and you are at risk of a blockage. It’s also best to alternate your Absorb Plus shakes with bone broths since the gelatin in the broth is very healing for the gut and the savoury soup provides needed taste variety. When you’re ready to introduce solid foods again, start with pureed foods and soups to gradually ease yourself back into solid foods. You may want to stay on a mix of Absorb Plus shakes and soft foods for an additional week or two, just to be sure you are well over the flare and give your body the best time/space for healing. Then transition to low residue foods – see my complete diet of Low Residue Foods for all the details on what you should eat, and not eat. Where can you ourchase absorb plus? How many calories in one cup of your beef broth? The number of calories can vary widely, depending on how much fat is in the broth. The number would typically be between 5 and 200 calories. If you use meat/bones that have a lot of fat on them and you leave that in the broth, the calories will be on the higher side. I am on day 8 of exclusively drinking Absorb Plus. My pain and cramping are bad as ever. So sick to my stomach. Should I stop drinking it? Or is this just how it starts out? First of all, thanks so much Jini for this wonderful site and all your products. They are of immense help for people dealing with gut issues. I wanted to know your opinion about taking turmeric supplement to reduce inflammation for krohn’s or colitis. Have you tested it? Will really appreciate your input. Thanks. Jini does not advocate the use of turmeric in her protocols to reduce inflammation but does recommend it for use as a spice in her Listen to Your Gut book (depending on the situation). If you are trying to reduce inflammation, a good place to start is on page 98 of Listen to Your Gut for more ideas. I am prone to this condition. Sometimes it goes for weeks on end, with choking feeling, extreme discomfort, painful to touch areas. But… with liquids and time, I’m still alive. I found the most uncomfortable times are in the a.m., as stool moves through my system and shifts position. I have never before searched for a gut diet such as yours. This is a good friend for me. I will visit your site often and take the advice to heart. If you ever have any questions about any of Jini’s protocols please don’t hesitate to ask! If your liver is in bad state or over worked excessive Glutamine can have side effects that affect you mentally. Just keep to a safe dose and you should be ok. Different people different levels. Some days i take 20grams some days nothing. I am quite sensitive so my taste buds point it out to me. When i need it it tastes really nice. When my liver seems burdened the smell of glutamine is really nasty. Hope that helps. Hi Jini, I find ur articles useful. I have lived with crohns for 9 years and still counting. I have severe cramping 24/7. Chronic diarrhoea. Malnourished, underweight. Loss of appetite. Aneamia and many others. I live in Ghana. ,.can’t afford your products, especially the absrb pkus shakes. What are the cheapest alternatives. Thank you Justin. That was very helpful. If you aren’t taking probiotics already then that would be recommendation #1 to help regulate your digestion. Natren’s dairy powders would be a solid choice if you want them to be legal for SCD; the dairy free powders contain garbanzo bean extract, which is illegal on SCD, but would probably be better if dairy is an issue for you. We wish you all the best and look forward to hearing more about your progress! Wonderful! I’ll definitely look into the shakes when I begin transitioning back to solid food. I do seem to tolerate dairy just fine, so I’ll keep going with the homemade yogurt and other fermented foods, as well as a probiotic supplement. The dairy powders sound like they’d work well for me, too. I’m looking forward to healing even more than I already have! Again, thank you so much! I have used the ABSorb plus before. Now it seems to give me diarrhea as soon as I drink it. I love the ingredients in it, but can’t seem to tolerate it. I really need the vitamins and minerals in it. I have started to do beef,chicken,veg and mushroom broth and I don’t see to have the cramping. Is there a way to take Absorb plus that be easier on my Intestional tract? Just wondering. I have been diagnosed with diverticulosis (SUDD) and IBS with much divericular pain, severe cramping with resultant vomiting. I read about Absorb Plus, but I am also diabetic (controled with diet – no meds) and Absorb Plus is not recommended for diabetics. What else is there to use instead that would be “diabetic friendly”. Thank you. Thank you for your inquiry. The Absorb Plus may not be diabetic friendly, we would recommend consulting your doctor concerning that. There is also the vegan protein options, but you would want to check if you can also have the tapioca maltodextrin we recommend adding in it for the calories. Please let us know if you have any other questions we can help you with. I have been told that I have some pouches in my colon. I also have diarrhea quite often. I no longer have a gall bladder. Will all this work for me? I am considered diabetic, also. I was diagnosed with Crohns desease. I am using Pentasa and sometimes Budesonide. Since 6 months having more symptoms like stomack pain and loosing weight. I consulted a doctor and he put Pill Cam to see the small bowel. I got the Pill Cam (capsule camera) stuck in my mid ileum. I am on Prednisone now assuming the stricture/inflammation will subside and the capsule passes out. It did not pass out yet. Consulted another doctor and he tried double balloon endoscopy, but he could not reach to the capsule. The doctor who did the double balloon endoscopy mentioned that it may not be the Crohn’s Disease. But the doctor with whom I took the Pill Cam said it should be the Crohn’s and he is asking me that I need to take Humira for Crohn’s. Humira will also help to get the capsule pass out. I am confused. I have come across your website recently and reading all the very helpful info. Could you please suggest me what is best scenario for my case. OR – is there any natural way such as controlling diet or being on liquid died would help me to get the capsule pass out. Your reply will be greatly appreciated. That does not sound pleasant. We are not medical professionals, and have not had experience with anyone having this issue before. There is a chance that the liquid diet helping clear you out can help get the pill out. It can also be very beneficial for the Crohn’s. Jini’s protocols encouraging getting off all prescriptions, so you may want to research that more. We would love to hear how that works out for you to get the capsule out. If you have any other questions please let us know. Good morning and thank you for all this information. I would like some help with my current condition if u could be so kind as to give me some suggestions. My stomach and the acid which caused this inflammation and then caused the mild blood in the stool. Would u suggest I start juicing and if so what suppliments to include and would u suggest 3 times a day a quarter of a cup aloe Vera. Thank you so much for ur time.Waiting to hear from you with anticipation. The Aloe Vera Juice could be very good for you as well. Please let us know if you have any further questions. Thank you for your prompt response, I started juicing today listened to Jini’s advice on calming the GI track first so will do as she says and keep u updated… one question does it have to be only veggies for juicing? If so which are the best…the greens? Do I add the quarter aloe Vera after the blend of the juice? Bcoz their are different kind of stool bleeding…how do i know which one causes mine? I believe it’s due to the silent reflux which then caused the bacteria and blood in stool…but does this matter at this point? My priority now is to stop the blood In the stool. As juicing isn’t something we actually recommend and teach we are unable to recommend if you should use fruits as well as vegetables. You can see the greens and juicing ingredients Jini recommends best in the raw juice link I gave you for her recipe recommendations. As for the Aloe Vera, we would recommend to use that twenty minutes before, and two hours after, other foods and drinks for best results. We are not medical professionals and unable to comment on how to know what is causing your bleeding. If you are unable to pinpoint it from our online information on it, and are concerned we would recommend contacting your doctor. However, a lot of our treatments are guided to different causes of symptoms and you may be able to find healing without testing more the cause. We wish you the best in your healing. 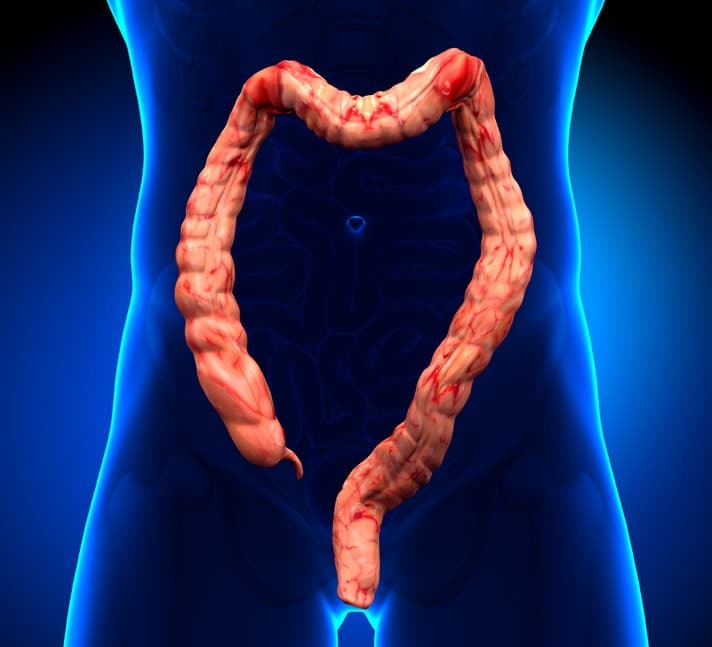 I no longer have my colon , lost it couple of decades back when I diagonosed with colitis way to late and was near death !! Now my small intestine has Crhones but the Absorb Plus diet has helped me bounce back in the past and I am now ready to start on Absorb Plus again . Glad I found Absorb Plus way back when .